Sheri Kaminski, NSCA – CPT / SFG 1 . 702-327-6146 | "Strength is a skill…happiness is a choice." "Strength is a skill…happiness is a choice." How do I start strength training? Congratulations! You made it to another New Year! I am really not one for making “New Year Resolutions” so much, however; January is as good a time as any to make or renew commitments to YOURSELF. Every January, it looks like people are committing to taking the time and attention to a practice of strength and wellness. You can’t miss it! Big Box and CrossFit Gyms are filled waaay past the parking lot capacity. Personal Trainers are working their butts off, with no time to think. Group X classes are full with great new classes forming daily! Hot Yoga studios barley have time to dry out between full capacity classes. GNC can’t keep all those magic fat melting, muscle building pills, potions and powders on the shelves. Every fast/semi fast food chain has “healthy” or “low calorie” options on the menu. With all this renewed commitment going around you would think that just about everyone would be in great shape by summer, right!? Yeah…not so much. The thing to understand is that the body is essentially a machine. It is made up of a series of levers and pulleys that make it possible to move your body and move heavy things. These levers and pulleys are powered by the rest of the systems of these amazing machines. If your vital organs are functioning well, the food you eat is used for energy. Energy fuels your strength practice. Strength is a skill, and it can be learned and taught. Like any other skill, it must be practiced. Practice includes movement preparation like rolling and crawling on the floor, and learning breathing and eye control and gaze drills. Practice includes a LOT of hip and shoulder mobility and more time on the floor. In fact, practice includes getting on and off the floor in many different ways. The ability to get up off the floor is quite literally a life saving skill. The problem with “most people’s resolutions” is that they are not ready and/or willing to learn new skills. Learning new skills is HARD. People feel foolish not performing a movement correctly, and quite honestly, if Instructors, Coaches, and Trainers allow people to just “power through” drills with poor form they are causing harm, and the sooner people give up on those programs, all the better. 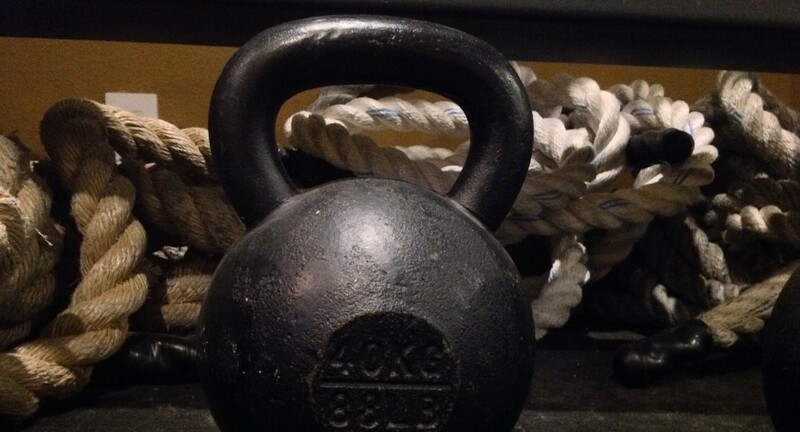 Your Hard-Style Russian Kettlebell Strength Practice begins when you decide. If you are ready, I suggest looking at http://www.strongfirst.com, if you do not have a kettlebell background. If you would like to start training with me, call or text 702-327-6146, or email me at ptsheri@gmail.com to set up an orientation meeting. I have a small studio in northwest Las Vegas where I offer UNLIMITED small group training and practice for $100 per month. I also offer private sessions, and in-home as well as workshops around the valley. Here’s to you and a strong 2016! I am trying a new approach to newsletters. I am using my Word Press blog. This way you can “subscribe” if you want to keep getting news and information from me, and “unsubscribe” if you really want to. This should result in less in box clutter for everyone. I am no longer training regularly at Strength Center in Henderson, I am focusing more on my studio in the north west part of the valley, and in-home Students. Adam and the crew at SC are fabulous. I miss them and will offer workshops there from time to time. Studio closed July 4-11, and August 31-September 9. Private Session Training is available by appointment. Private sessions at my Studio start at $50. In-Home Sessions start at $80. On-line Training starts at $25 per month. Workshops vary in price and location, but start at $35 at my Studio. I accept cash, checks, and cards as payment. Tips, and the occasional bribe, are most happily accepted. I also teach the 5 Tibetan Rites of Rejuvination on the first Sunday, (except July and September), of each month at the Sophia Center for Goddess Studies at Spring Mtn and Jones. This two-hour workshop is $20 cash at the door. The 5 yogic movements have been practiced by Tibetan Lamas for thousands of years, and have been called “A Fountain of Youth”. They build strength and vitality when regularly practiced. The workshop is always open to men and women, of all fitness levels! I teach the five movements and regressions for each one, so that even those who may be unable to comfortably get up and down from the floor may learn and practice from standing and a chair. I offer a Referral Program as well. If you refer someone, and they buy training. You get an instant credit of half of what they spend with me on their initial visit towards your next month’s training. Well, I have been over fifty for a little while now. I can say for certain that I am so grateful for my continued good health, and the health of my family. I am grateful that I read an article in 2008 that prompted me to follow the teaching Pavel Tsatsouline with kettlebells. The strength I have learned has “fixed” my body. I am stronger at 51 than at any time in my life, and I am helping my students learn to get strong too. Many of my strength students are “seniors”. I guess that title comes at some magic age number like 65 or something, and I have the honor of witnessing them get stronger, stand straighter, move better, and feel better every day, the really cool thing is you can learn to get stronger at any age. Learning to be strong may sound impossible, you may think that strength is something that some people have and some just don’t. You may even be under the understandable, but incorrect notion that you may be too old to get stronger. Strength is a skill. All skills can be taught. If you are capable of learning to play a new card game, you are capable of learning strength. If you can sit on the toilet, and get up unassisted, you can learn to dead lift and swing a kettlebell. Many of the “symptoms” of aging are quite literally reversible with strength training. Being able to get up and down from the floor with ease can change a person’s quality of life for the much better. High blood pressure and Type 2 Diabetes can be reversed to the point where people can reduce, or actually get off their prescribed medications. Weight bearing exercise is proven to increase bone density. Strength makes a person resilient to injury, and Kettlebell training improves cardiovascular endurance and flexibility as well! So, if you have been thinking of starting some kind of exercise program, find a Strong First Instructor in your area. Start now because getting old is not for sissies! Well, my little home-studio has a new look and feel. A new wall and door make the studio feel more private, and although the cats are not so pleased, it keeps their fur and dander out. I also moved things around, painted walls, and dismantled my desk. I am typing on my laptop on the floor, or standing. It is awesome! I resist sitting in a desk chair, and I had one rolling around in here taking up precious floor space! If you have not seen the new space, come check it out. I probably miss you! Along with the new feel, I have expanded my “UNLIMITED Monthly Training” to include much more flexibility. In addition to Class times, “Open Gym” style time is available when I am here. Text RSVP to 702-327-6146. “Open Gym” T/Th Text 702-327-6146 for a time slot. UNLIMITED Monthly Small-Group Classes $100 per month . One on One Training Sessions $50 in-studio. $80-$100, depending on your location. I am still offering small-group training classes and private sessions at Strength Center in Henderson on Wednesdays and Fridays. Classes there are at 2pm, and I am available for consultations and swing/orientation at 1pm with RSVP text to 702-327-6146. I can also schedule private sessions at Strength Center. Contact me for pricing at Strength Center. $100 per month UNLIMITED Small Group Training! *New Students must first have a working swing in order to take part in Group Training Classes. Simple and Sinister program support! Get “entry level strong” with this Swing/Get Up program by Pavel. I will help get you there. Kettlebell Burn EXTREME support! *For experienced Students only. This program burns fat while building muscle. The workouts are all double-bell, and are six days per week for the four weeks. I offer special coaching and support for anyone wishing to do Geoff Neupert’s brutally simple, simply effective program. The 5 Rites have been called a “Fountain of Youth”. I offer classes on the 5 Tibetan Rites on Mondays, Wednesdays, and Fridays from 4pm to 5pm at my studio in Centennial Hills. Classes are $10 at the door. Mats are nice, but not essential. Bring your mat if you like, there are some available to borrow at the Center as well. If you are ready to get stronger, but are just a bit apprehensive about kettlebells, body weight moment is the place to start! The 5 Rites are an excellent platform for beginning your strength journey. The 5 Rites are appropriate for everyone! “Beginners” as well as athletes and those well versed in the Rites are welcome and will benefit from sharing the practice with others. This 60 minute class covers the physical movements of the 5 Tibetan Rites as practiced by Tibetan Lamas for thousands of years. The countless benefits of a regular Rites practice will be covered as well as regressions for people who are unable to get up and down from the floor easily. With practice, the these regressions build up to the full expression of the pose. Regardless of the extent of the pose each person is able to do, full benefit of the pose is achieved. The Rites have been touted as the “Fountain of Youth” because many of the Lamas who practice them are of very advanced years, many of them well over one hundred. Of course, we do not live in a Tibetan Lamasery, yet the Rites are readily adaptable to our modern lives. Each class session will be divided into two parts: The Physical Practice, and Discussion. During the Physical Practice portion of the class, Sheri will cover safe and effective progressions to each of the 5 movements as well as advanced progressions for those who are ready. Talking is limited to corrections and safety during this time. During the Discussion portion of the class, every one is encouraged to share openly as much as they like about anything related to the Rites. At first, discussion will mostly be about learning the movements and getting more comfortable with them. As time goes on, discussion will move into the benefits each of the members of the group are experiencing…who knows what will happen from there! When practiced mindfully, the Rites are known to make profound differences in every aspect of peoples lives. It is imperative that students in this class agree to discuss only their own experience and never share any one else’s experience outside the safe container of the class. This point cannot be over stressed.